Pathology is a branch of medical science that involves the study of the causes and effects of diseases. 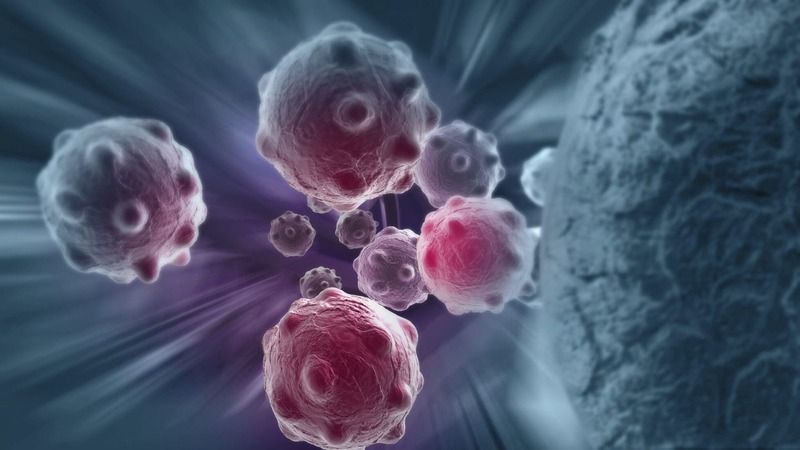 In general, cancer occurs when a cell has three major failures. First, it fails to complete its pre-programmed life cycle, which normally ends in natural cell death called apoptosis. Second, it fails to stop dividing or making copies of itself. Third, it loses cell to cell communication inhibition, which allows it to invade or grow into the territory of other cells. A cell can acquire these characteristics if its DNA is damaged in regions that are responsible for cell growth or cell death. Current research dicates that most breast cancers begin in the lining of the milk ducts. This is called invasive ductal carcinoma or IDC and makes up about 85% of breast cancer cases. If the cancer begins in the milk producing lobules of the breast, it is called invasive lobular carcinoma or ILC, and accounts for about 14% of breast cancers. The remaining 1% of breast cancer cases include a variety of breast cancers that are rare. Metaplastic breast cancer (MpBC) falls into this rare 1% category. Current information on optimal treatment and outcomes for metaplastic breast cancer is limited due to both its rarity and the fact that it was only recently recognized as a disease entity. The World Health Organization recognized metaplastic breast cancer in 2000. If you have been diagnosed with metaplastic breast cancer, it would be in your best interest to seek the advice of an oncologist and surgeon who have treated or are at least familiar with this rare type of breast cancer. Metaplastic breast cancer is aggressive and is more chemoresistant then invasive ductal carcinoma (IDC) or invasive lobular carcinoma (ILC). Under the microscope, metaplastic breast cancer is a mixture of 2 or more cell types. These cell types can look more like muscle, bone, cartilage, or non specific connective tissue then breast milk ducts or lobules. Pathologists will sometimes compare the look of metaplastic breast cancer to soft tissue sarcomas as they have similar features under the microscope and stain for some of the same proteins. Metaplastic breast cancer often has a small component of IDC mixed into the tumor. Currently, the theory of how metaplastic breast cancer begins is that it starts as invasive ductal carcinoma and it acquires additional genetic mutations that allow it to partially transform into soft tissue like cells. This transformation is called mesochymal transformation and may be a key component of metaplastic breast cancer’s chemoresistance and aggression. Metaplastic breast cancer has subtypes. These subtypes are determined by the pathologist and are designated by what the cells look like to the pathologist under the microscope. If they look like muscle, they are spindle shaped and are designated as spindle cell metaplastic carcinoma. If they look like bone, they are designated as osteo cell metaplastic carcinoma. If they look like cartilage, then they are designated as chondroid metaplastic carcinoma. If they look like flat cells that line the outer layer of the skin, respiratory tract, digestive tract and hollow organs, then they are designated as squamous cell metaplastic carcinoma. If the cells do not fit neatly into any subgroup, some pathologists designate it as metaplastic carcinosarcoma. The diagnosis is highly dependent on the expertise and experience of the pathologist. Currently, all subtypes of metaplastic breast cancer are treated the same, but the science is always evolving, so please discuss your subtype with your oncologist. Most but not all metaplastic breast cancer is triple negative. This means the cancer cells do not over express estrogen, progesterone, or HER2, receptor proteins on the cell surface. Breast cancers that express estrogen, progesterone or Her2 receptors on their cell surfaces are driven to grow by estrogen, progesterone or the Her2 proteins and can be treated by blocking these receptors. Because triple negative breast cancer is not driven nor sustain by estrogen, progesterone or Her2 proteins, these targeted blocking therapies are sadly not effective in triple negative breast cancer. Currently, there are no specific targeted therapies for triple negative breast cancer. The pathologist will give your cancer biopsy a grade. The grades are from 1-3. The higher the grade the more disorganized the cells looks under the microscope. In addition, the higher the grade, the more rapidly the cancer cells divide. Some people use grade 3 and aggressive cancer interchangeably. Metaplastic breast cancer is almost universally a grade 3. Metaplastic breast cancer often presents initially larger then other breast cancers. This could be due to how rapidly it grows and divides. The size of a tumor and whether it has traveled to nodes or other organs is designated as its stage. Metaplastic breast cancer usually presents as a stage 2 or higher when it is initially found. Please note the difference between stage and grade. Stage is how big the primary cancer is and whether it has traveled. Grade is what it looks like or behaves like under the microscope. Metaplastic breast cancer grows fast and can metastasize early. It usually does not spread by lymph nodes but a sentinel node biopsy should not be “skipped” as node status plays a key role in radiation decisions. It is believed to spread via the blood and, like sarcoma, metaplastic breast cancer has a predilection for metastasizing to the lung. It can also spread to the bone, brain and liver, but the lung seems to be a greater possible site for initial metastatic disease. Metaplastic breast cancer recurs more often and more quickly compared to IDC and LDC. It has a peak recurrence rate of 18 months to 3-5 years after treatment. Therefore, regular follow up with a knowledgable oncologist is important. In conclusion, it is important to know that metaplastic breast cancer is rare, newly recognized, aggressive, grows very fast and is “tougher” to treat. That being said, science is rapidly expanding and new information is being gathered daily that could change our current understanding. Ideally, treatment of metaplastic breast cancer would be with a team experienced with how rapidly it grows, so that decisions are made quickly but with caution.